A transfer to a new place sounds a lot of fun, but comes with its own set of troubles and difficulties. Just imagine, packing everything, moving to a new place, and then again rearranging everything in a new place, its tiring and frustrating. Additionally, you need to make sure that all your valuables reach safely and securely. The whole process can frighten the best prepared. So, how about using the services of a moving company? A moving company is a company that helps people as well as organisations relocate their goods from one place to the other. And yes, you don’t have to sell your heart to get the best of services. When the move is local or national, most of them have local branches or associated representatives to assist in a transfer. However, when the relocation is international, special services have to be availed. Professional movers are appointed to pack, load, unload and unpack with special tools and equipment. 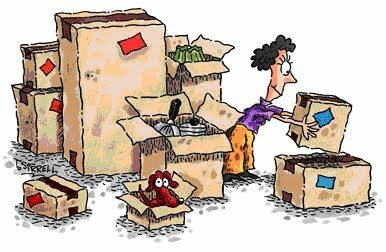 Be it household removals or company resettlement, a move entails careful wrapping and packing in order to avoid damage and breakage of furniture and other valuables. Most of the companies provide insurance of goods, while some ask insurance from outside. can move out stress free and be at absolute ease. 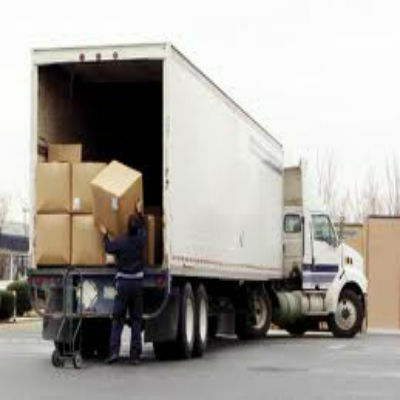 You can easily rely upon the proficiency of the experts to complete the move safely and securely. Thus, saving more time and effort. Relocation services are for the most part tailored to meet your needs and requirements. They help you from start to end, i.e. with your packing, assembling, loading, transporting, unloading to un-assembling, and all is done efficiently without you having to move a finger. It all depends on what you are looking out for. You can go for a full-scale service or simply hire trucks to help you transport your goods from one place to another. So, customize your package as per your needs, just make sure you know exactly what you are paying for, and see how convenient things can be! When you are looking for a self-storage facility there are high chances of you looking for it on the internet or searching for one in yellow pages. But there is more to a storage unit than just an internet search. Not all of them are the same and each one provides a range of services as per your needs and of course budget. Therefore, abide by these 5 simple steps to get the perfect storage for all your requirements. 1. Location: One of the most vital factors in choosing a storage unit is where is it located. It should be closer to your home or may be to your work place. If none of these match then settle for a unit that is close to major freeways or highways. It will make things a lot easier and convenient for you. 2. Security: What good is a self-storage facility if it cannot provide you safety and security? You should have the most updated security system to be at peace. It could be in the form of digital locks or matching gate access codes to your individual storage. Besides, a must have service is surveillance cameras that record all the activities within and around the units and security guards that make sure your items are stored safely. 3. Access: The majority of storerooms limit access to certain hours of the day. Make certain the access hours are flexible for you so that you have maximum admission. However, there are some storerooms that provide 24*7 service. All you need to do is to look for them. 4. Unit Sizes: You need to have the flexibility of choosing a storage as per your choice. For instance, if you have a small amount of items, you will be highly annoyed if you are given the size of of a one car garage. One good self-storage tip would be choosing the unit that lets you stock up as per your needs and you have to pay only for that. 5. Environment: If you have antiques, paintings, photographs, books, video films, etc it would be better if you call for a climate-controlled storage. They will be a bit more expensive than a conventional one, but totally worth it. So, confirm once before you settle for it!